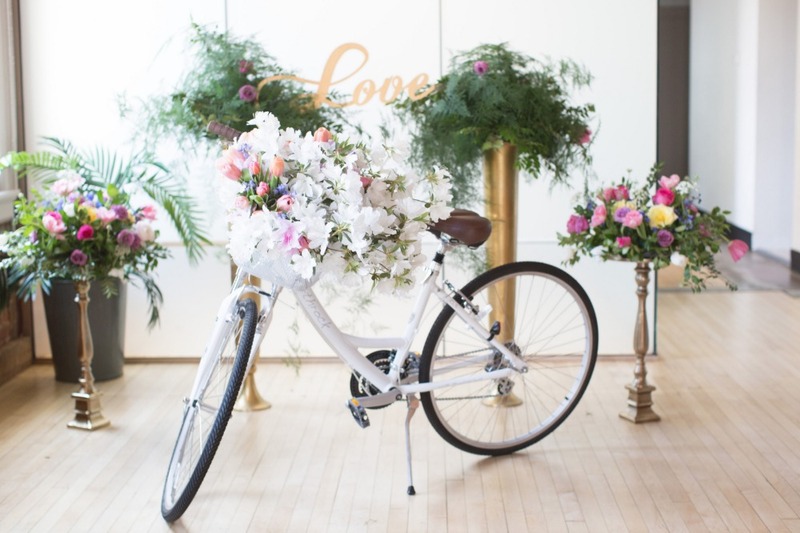 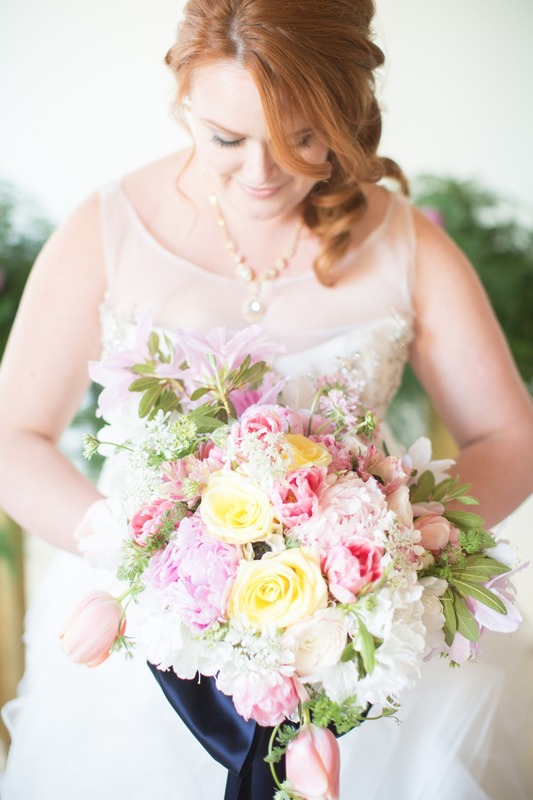 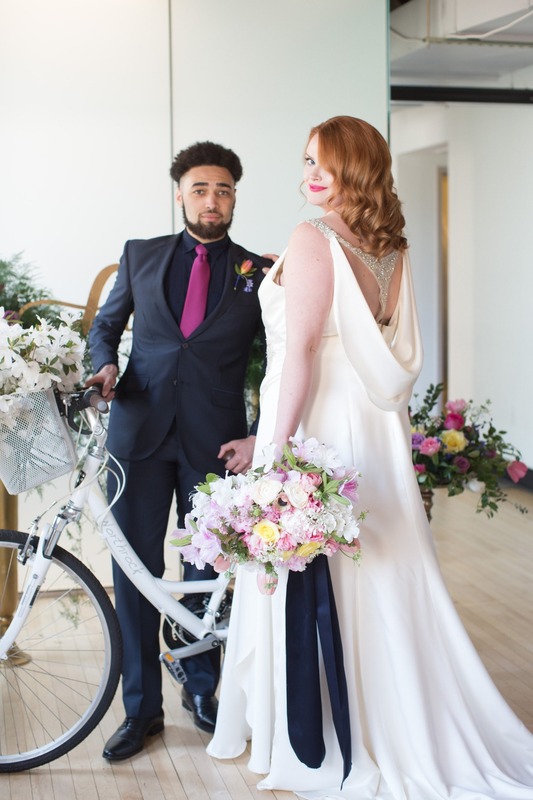 Brides of all shapes and sizes, prepare to feel inspired with this next shoot styled by EightTreeStreet and captured by Photography by Amy Nicole. 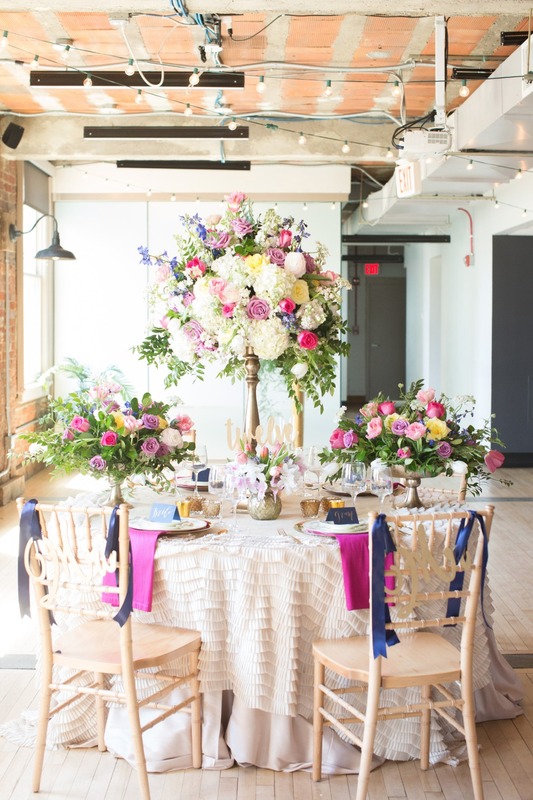 Bold shades of navy, fuchsia and gold fill the space creating a seductive urban vibe at the The Loft at 600 F in downtown DC. 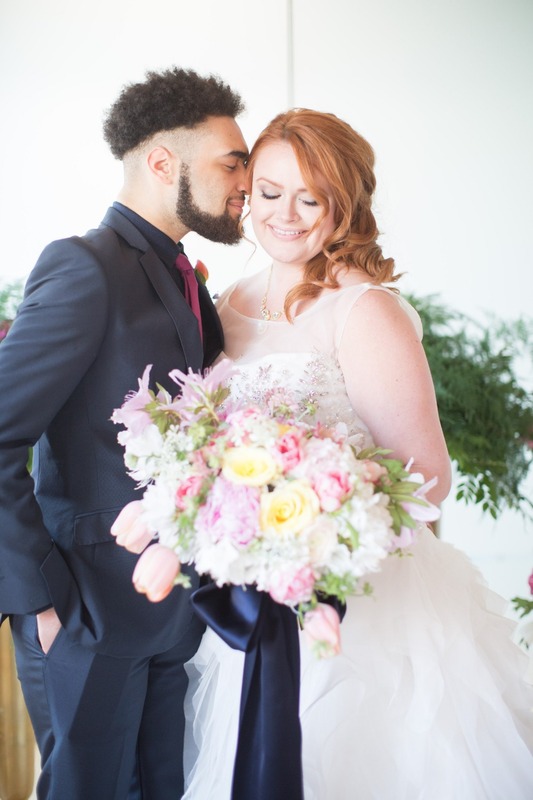 From the TWO amazing wedding dresses by Fabulous Frocks of Alexandria, to the beautiful bright florals, it's a romantic and utterly gorgeous affair we know you'll love! 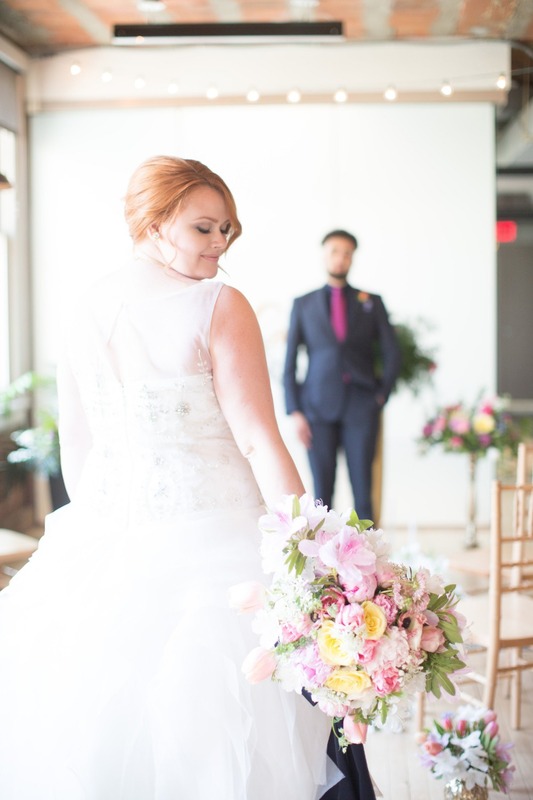 See every last image for yourself in the full gallery here. 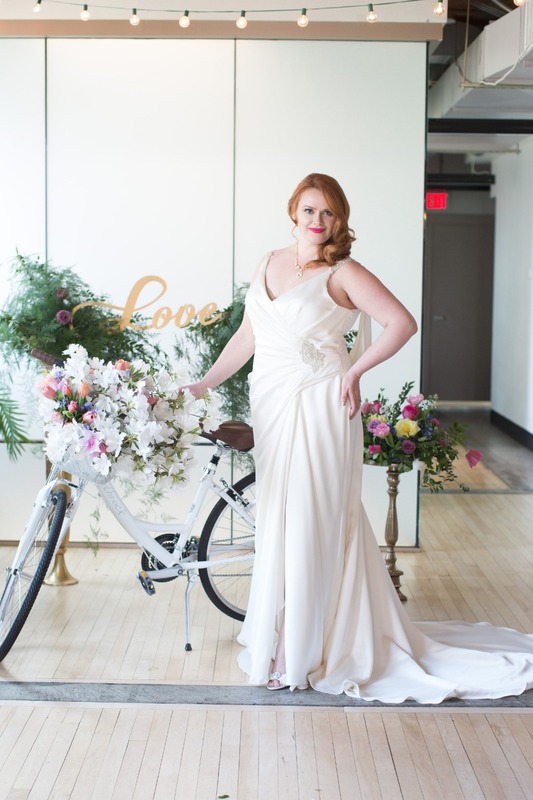 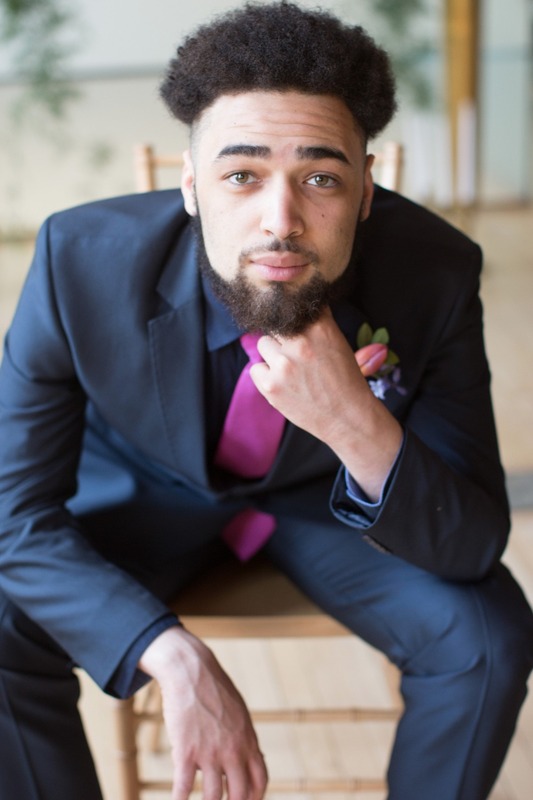 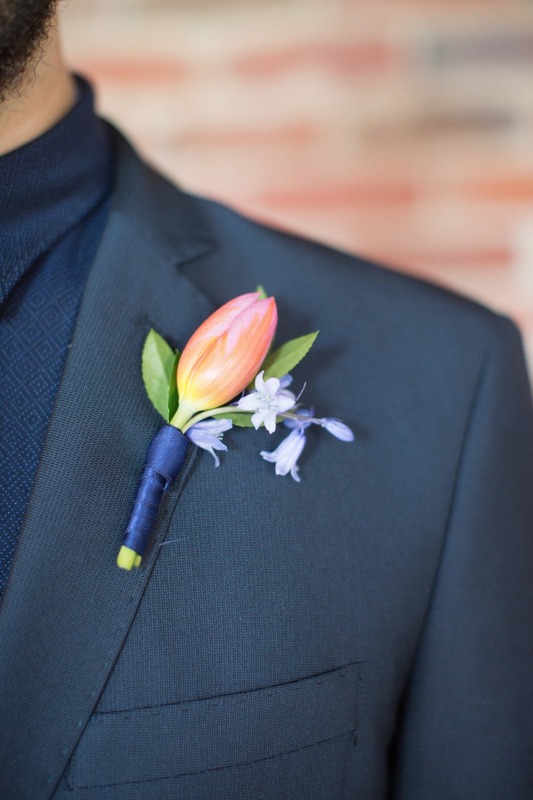 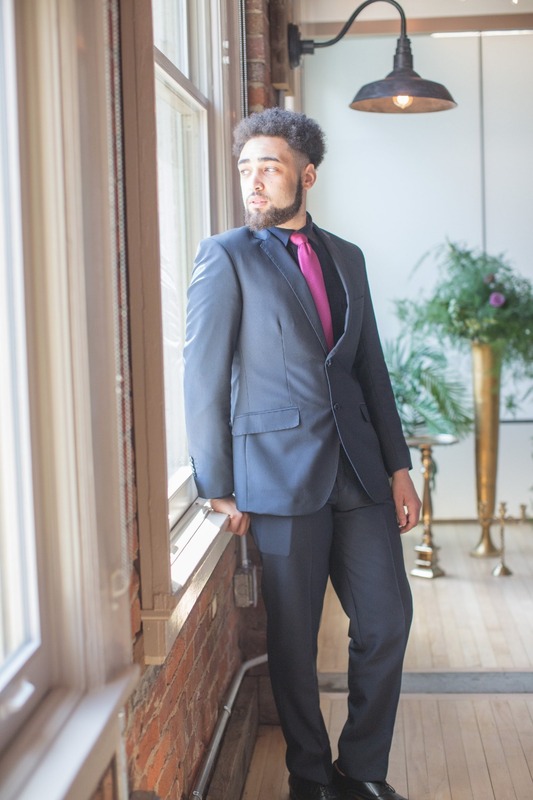 From EightTreeStreet: This wedding inspiration celebrates all brides, especially curvy brides and provide styles that can be worn at the wedding and wedding celebration. 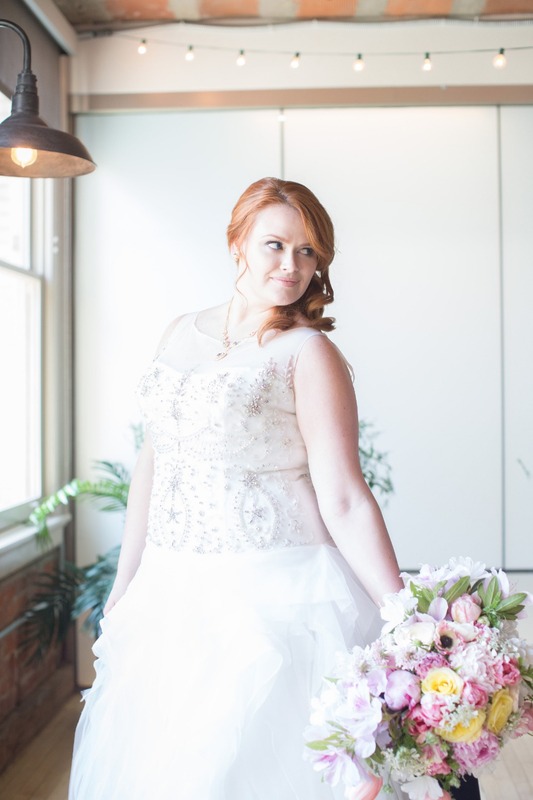 It was very important to us to include gorgeous designs with modern plus size brides in mind, we seldom see inspiration shoots for them, and we love all the styles available. 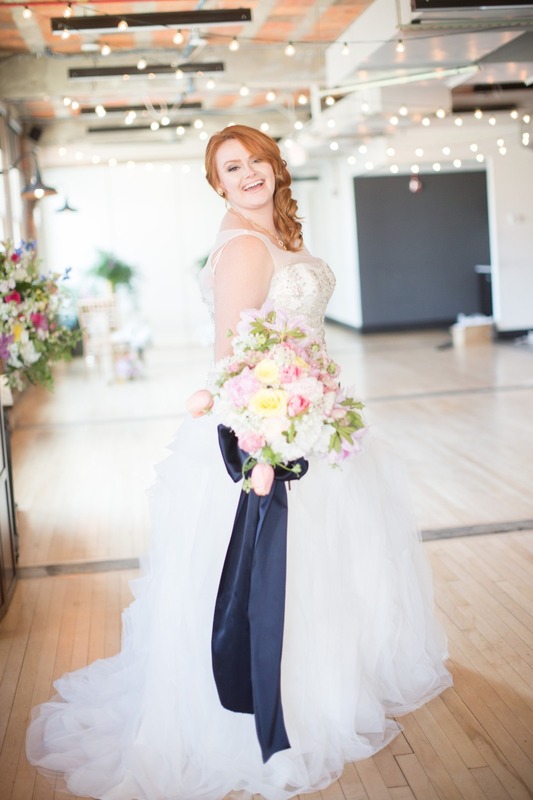 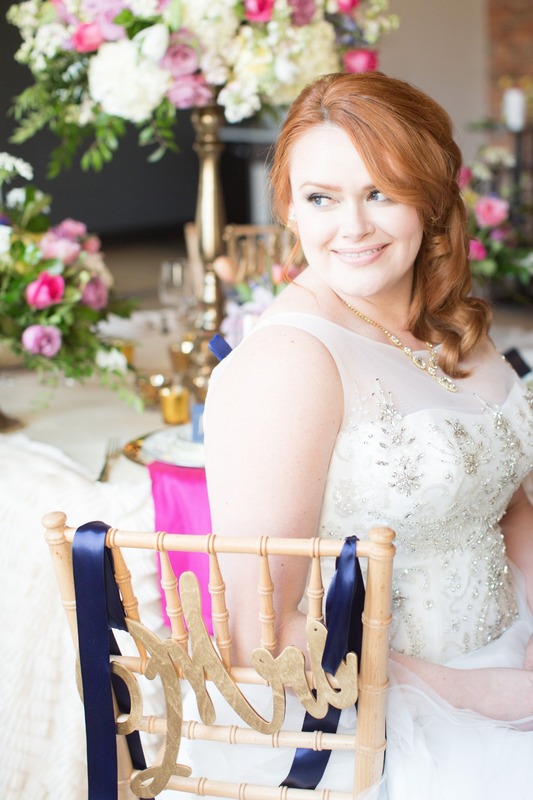 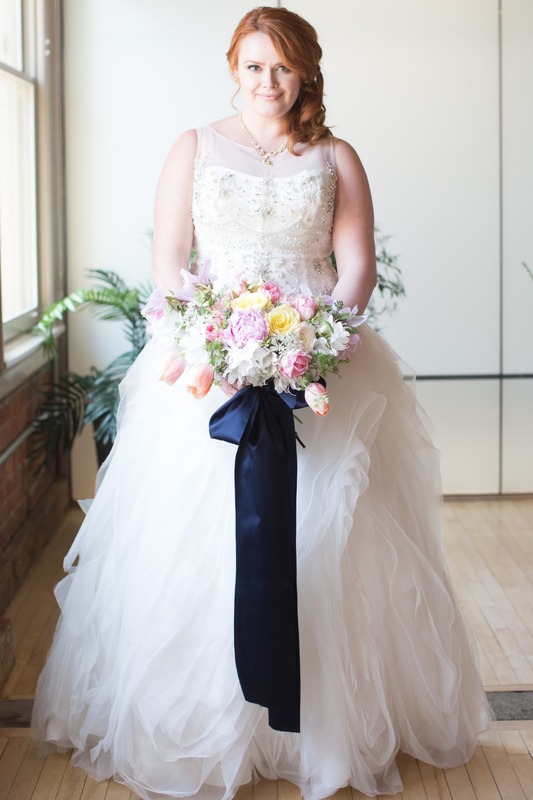 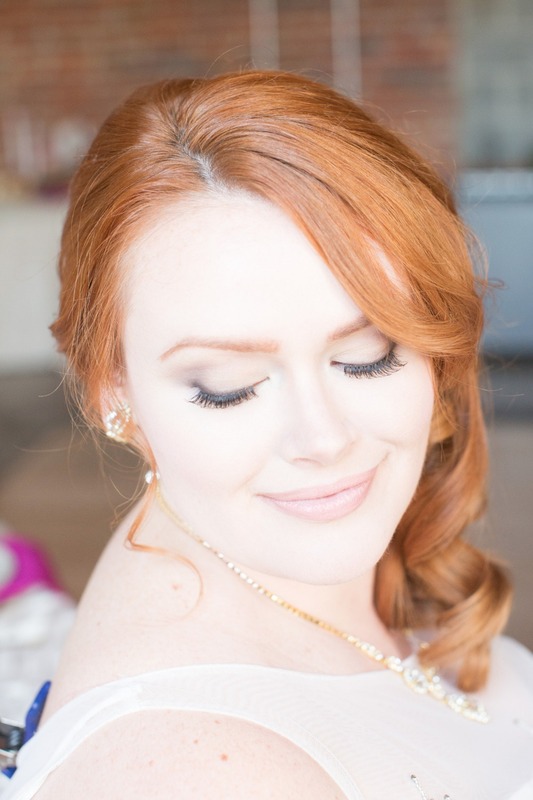 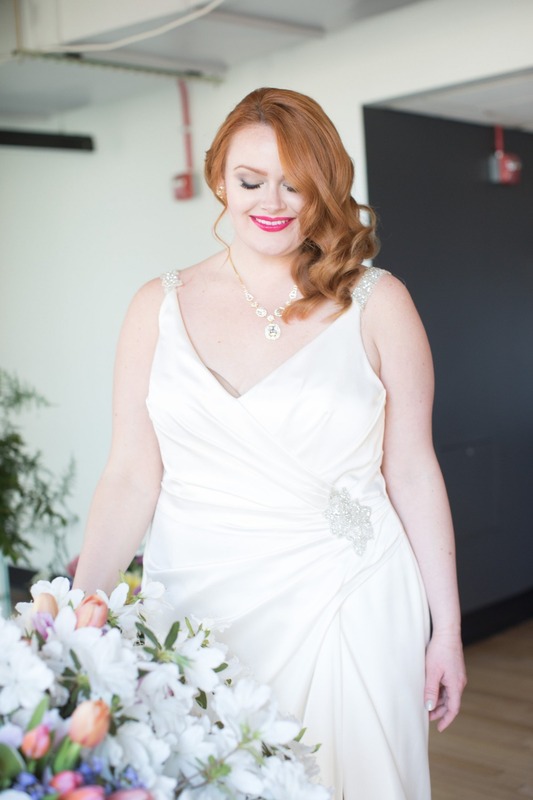 We were excited to work with renown plus size model Jessica Likas, she offered insight into the plus size bridal styling. 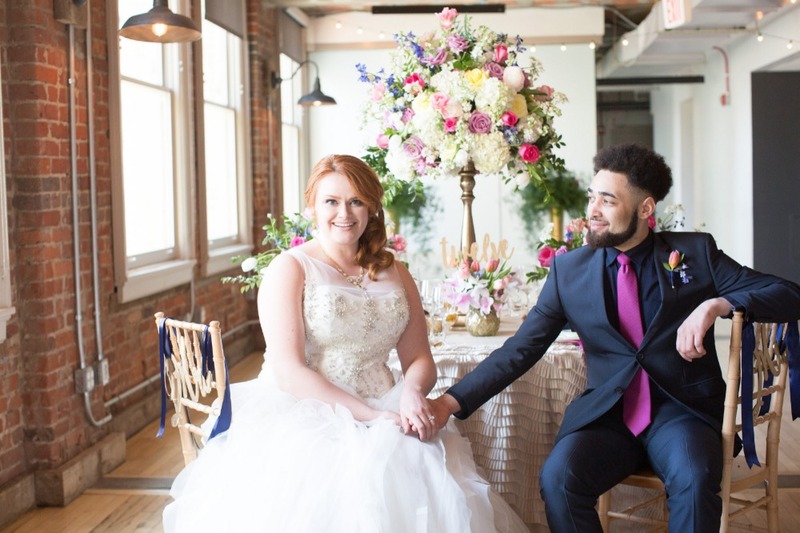 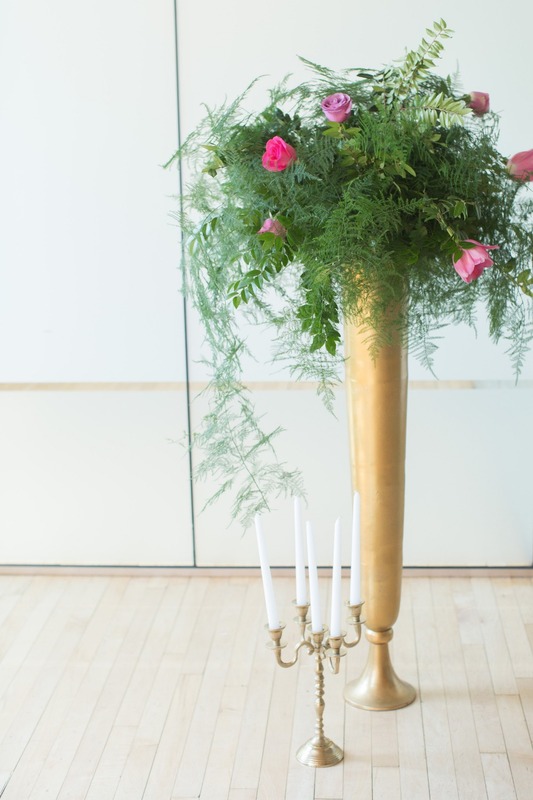 Our styling transformed The Loft at 600 F in downtown DC into a luxurious wedding setting, inspired by the work of Preston Bailey, we used linens from the Preston Bailey Collection at Nuage Designs Inc to style the luxe tablescape with a urban node. 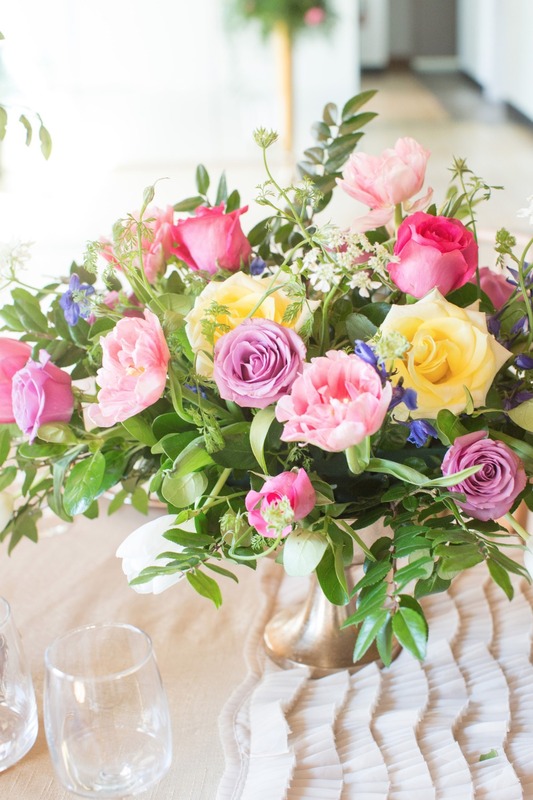 The colors included a cheery mix of navy blues, pinks, cerise, yellow and touches of lavender, with touches of gold and champagne. 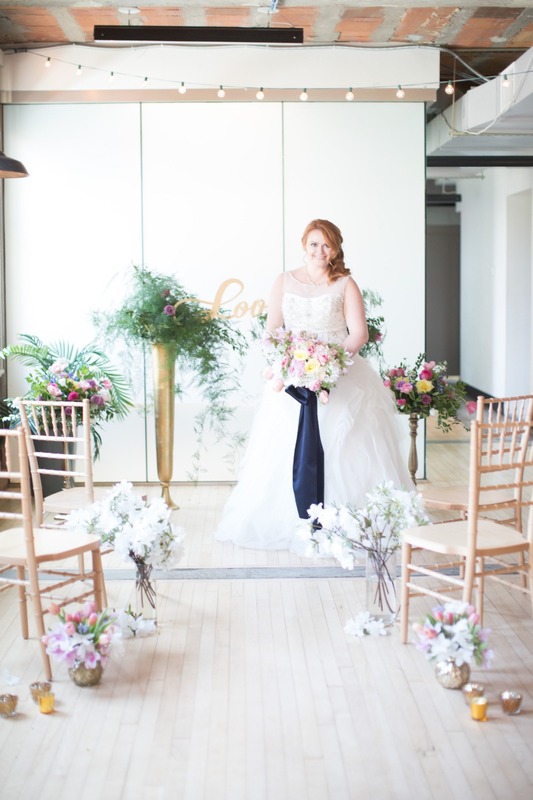 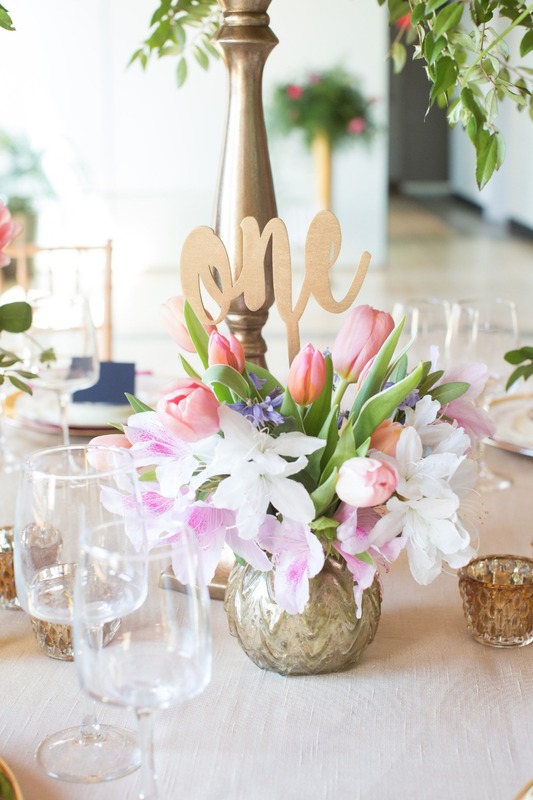 We love having pops of different colors in this space that served as the perfect background. 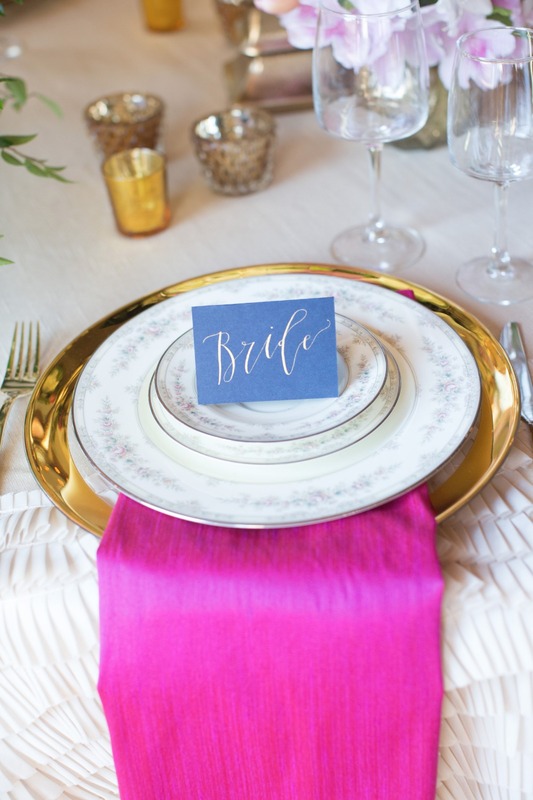 We were in love with the modern calligraphy by Wabi Sabi Calligraphy in a deep navy blue background with gold lettering, perfect to bring a touch of Navy to the tablescape. 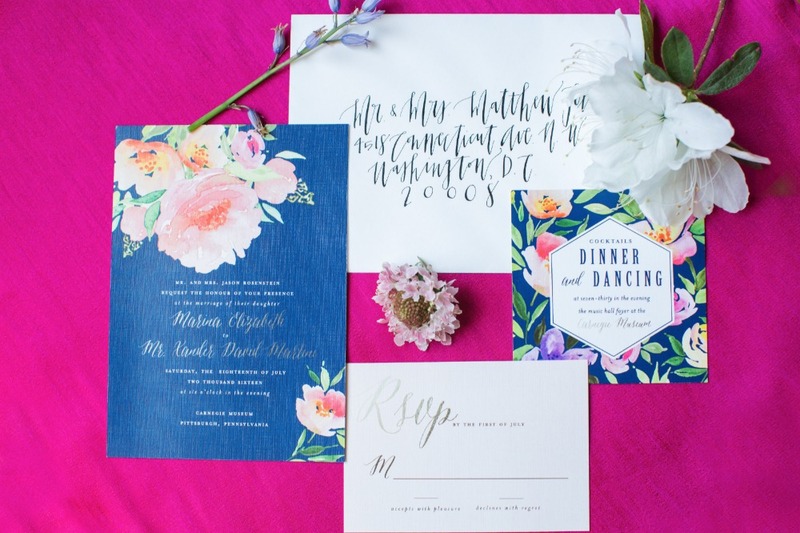 The florals and styling by EightTreeStreet were inspired by the colorful floral invitation suite designed by Blush Paper Co. 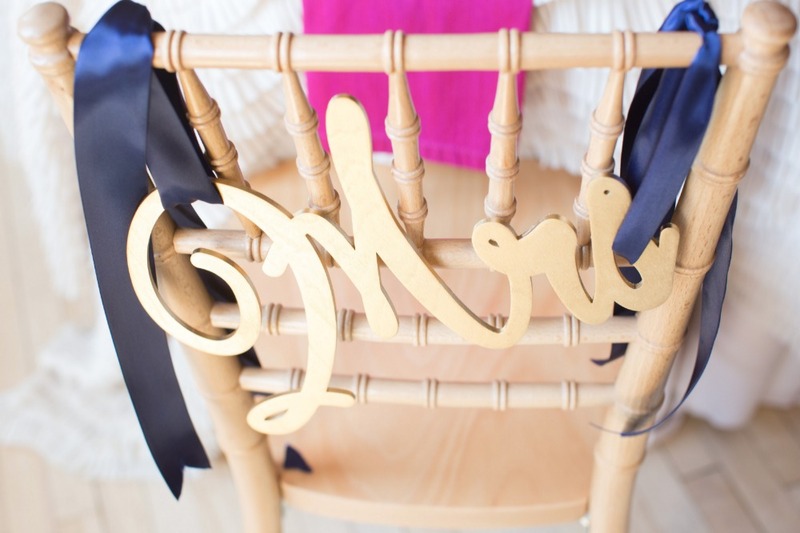 The laser cut signage from Mark with a Spark were fabulous, especially the Love sign, perfect for ceremony space, first looks and reception decor. 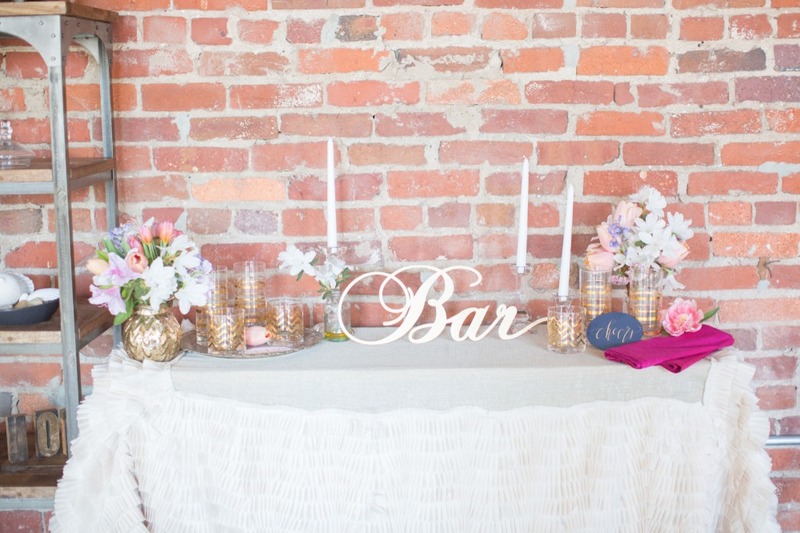 A delicate welcome gift basket by The Welcoming District was a perfect celebration of all things DC, we love her district finds and details for our bride and groom to share with guests, and they are not only amazing for local couples, but also for those designing a Washington regional destination wedding. 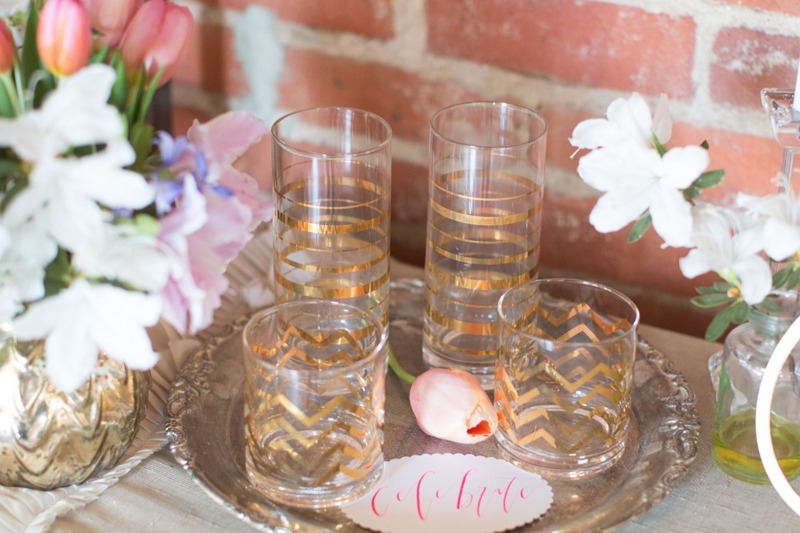 Paper Goods Blush Paper Co.